Since her international debut at the age of 16, Alex has achieved almost 300 caps and recently scored her 100th international goal. Alex was also a key member of the GB women’s hockey team at the 2015 European Championships, where she was awarded Player of the Tournament. Off the pitch, Alex spends her time inspiring the future generations of sporting heroes and has extensive experience working with young people. In 2015, Alex was recognised by UK Sport to have spent more days than any other UK Sport funded athlete volunteering. 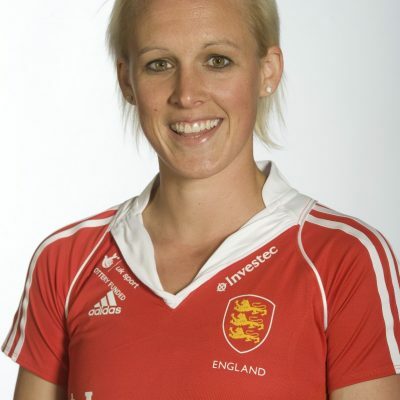 In June 2017, she launched the Alex Danson Hockey Academy in partnership with Everyone Active, in hope of increasing the participation of young people in hockey and igniting passion for the sport to discover many potential future Olympians. Alex grew up close to Everyone Active’s Hart Leisure centre, where she trained regularly.